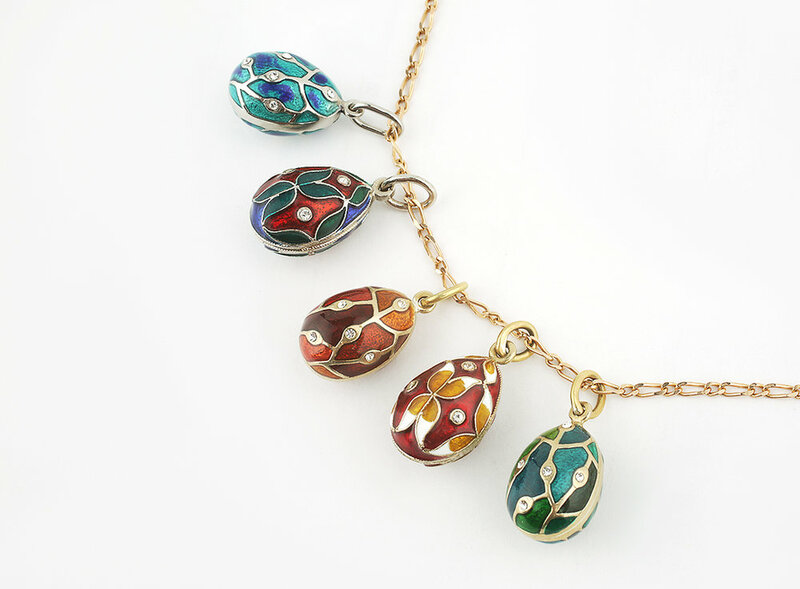 Don’t miss this unique opportunity to visit the oldest jewelry plant in Russia and decorate with your own hands a wonderful Faberge inspired Easter egg pendant. Russkiye Samotsvety started in 1912 and is the successor of the St. Petersburg school of jewelry and lapidary in the late 19th - early 20th century. Being the followers of the Carl Faberge traditions, the company makes products with guilloche enamel. In the first hour we will decorate ourselves an egg-shaped pendant in the best traditions of Faberge. The gilded pendant can also be decorated with rhinestones. During the second hour, while the enamel dries out, we will visit the jewelry center with a guide. We will learn how Carl Faberge’s traditions are preserved and continue in the modern jewelry production. Please sign up before 31st March 15:00. Please note, you’ll be required to bring your passport to the tour to be able to participate. Please make sure to bring your passport with you to the tour. Please enter your name as it appears on your passport. We will be sending the names of participants and they'll be checked against your passports.